A court in the self-declared republic of Somaliland has sentenced a young poet to three years in jail. Nacima Qorane was found guilty of bringing the state into contempt by advocating for Somaliland to reunite with Somalia. Pressure groups in Somaliland said Ms Qorane's basic human rights have been violated. Somaliland self-declared independence in 1991, but is not recognised internationally. 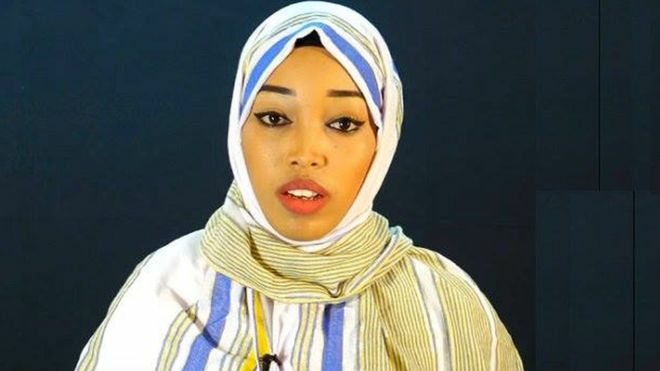 Ms Qorane was arrested in January after returning from the Somali capital Mogadishu, where prosecutors said she had recited poetry calling for Somali unity. After a ferocious civil war, north-west Somalia broke away from the rest of the country and declared itself as an independent Somaliland. The territory is home to about 3.5 million people. A number of other artists and journalists have been arrested in Somaliland for the same offence.